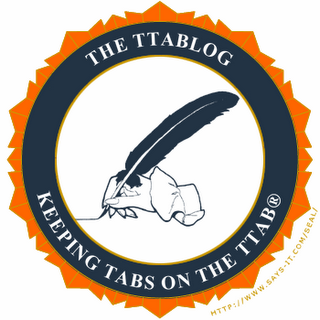 The second half of the TTABlog's "top ten" list of 2013 decisions includes two decision on appeal to the CAFC (In re Tam and Alcatraz v. Chesapeake), and one the subject of a Section 1071(b) civil action for review (U. of Alabama v. Pitts). Part One of the Top Ten list may be found here. 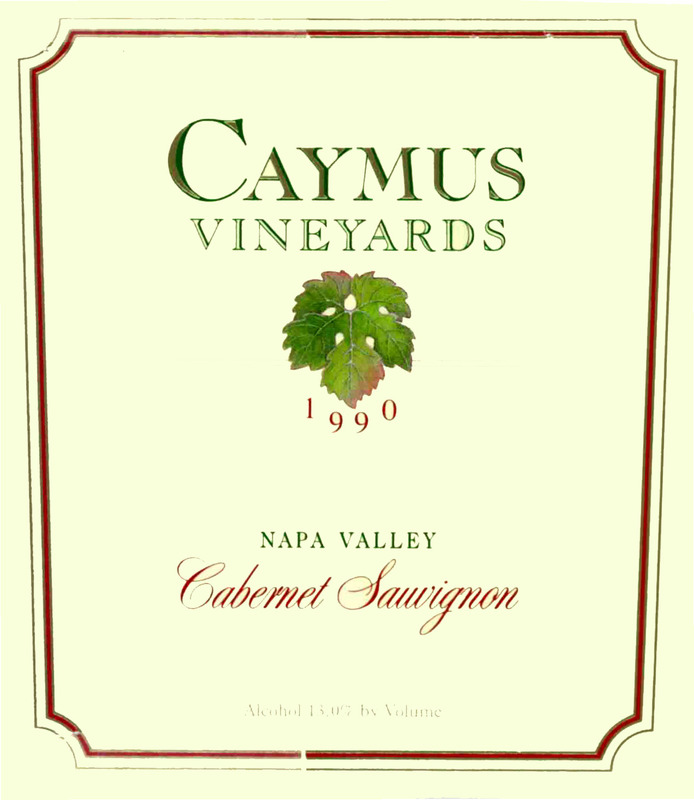 Caymus Vineyards v. Caymus Medical, Inc., 107 USPQ2d 1519 (TTAB 2013) [precedential]. [TTABlogged here]. The Board denied opposer’s motion to dismiss applicant’s counterclaim for cancellation of a registration for the mark CAYMUS for wine, on the ground of fraud, ruling that applicant’s pleading was adequate to state a claim. However, the Board granted opposer’s motion to dismiss applicant’s second counterclaim, which was based on Section 2(e)(2) geographic descriptiveness, because it was barred by the 5-year statute of limitations embodied in Section 14 of the Trademark Act. 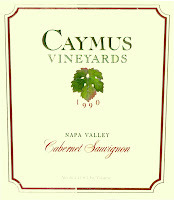 As to fraud, the examining attorney had asked opposer, when an applicant, whether CAYMUS had “any geographical significance or any meaning in a foreign language.” Applicant here alleged that opposer knowingly, and with deceptive intent, failed to disclose that CAYMUS “had primarily geographic significance, and that [opposer's] grapes are grown and/or its wine is produced near or at the Caymus locale.” Opposer maintained that “CAYMUS” has no geographic, but only historical and cultural significance, but the Board pointed out that this assertion was irrelevant to whether applicant had properly stated a claim of fraud. Instead, it constituted a response on the substantive issue. With regard to applicant’s Section 2(e)(2) counterclaim: applicant maintained that because of opposer’s fraud, the Section 14 bar to cancellation should not apply to its claim of geographic descriptiveness. The Board disagreed. 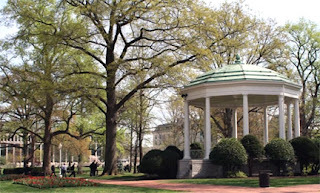 The Board of Trustees of The University of Alabama and Paul W. Bryant, Jr. v. William Pitts, Jr. and Christopher Blackburn, 107 USPQ2d 2001 (TTAB 2013) [precedential]. [TTABlogged here]. 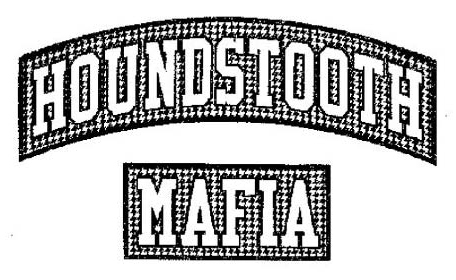 In a 78-page opinion, the Board dismissed this opposition to registration of the mark depicted below for “shirts, caps” [HOUNDSTOOTH disclaimed], denying opposers’ claims of likelihood of confusion under Section 2(d), and false suggestion of a connection and disparagement, both under Section 2(a). Opposers based their opposition principally on the alleged extensive use of a houndstooth pattern that identifies Coach Paul “Bear” Bryant and the University of Alabama’s goods and educational and athletic services. Likelihood of Confusion: Although Coach Bryant was recognized for wearing patterned fedoras at the University’s football games, that fact “does not endow either Coach Bryant (including his estate) or the University with trademark rights in the Houndstooth Pattern.” False Suggestion of a Connection: The Board focused on the “key factor” in the Section 2(a) false suggestion analysis: “whether applicants’ mark is a close approximation of opposers’ name or identity…” The Board found no basis for concluding that applicants’ mark closely approximates the identity of Bryant or the university. Disparagement: Opposers contended that the mark is disparaging and brings them into contempt and disrepute because “mafia” refers to a criminal organization, but the Board disagreed. In re Simon Shiao Tam, 108 USPQ2d 1305 (TTAB 2013) [precedential]. [TTABlogged here]. The Board affirmed a Section 2(a) refusal to register the mark THE SLANTS for “entertainment in the nature of live performances by a musical band,” finding that the mark, when used in connection with applicant’s services, would be perceived as disparaging to a substantial composite of the referenced group, namely persons of Asian descent. Relying on dictionary definitions, online articles, and applicant’s own webpage and Wikipedia entry, the PTO maintained that THE SLANTS is a highly disparaging term to people of Asian descent, that it retains that disparaging meaning when used in connection with applicant’s services, and that a substantial composite of the referenced group finds it to be disparaging. Applicant contended that the word “slant” has several meanings and is therefore not “inherently disparaging.” He challenged the propriety of the PTO’s consideration of the manner in which applicant used the mark, asserting that the refusal was “dependent on the identity of the person, rather than the content of the application,” and maintaining that the PTO improperly considered applicant’s ethnicity and his use of the mark in reaching its conclusion. Applying the two-part test of In re Lebanese Arak Corp., 94 USPQ2d 1215, 1217 (TTAB 2010), and then observing that the refusal to register does not affect applicant’s right to use the subject mark, but only his right to register, the Board affirmed the refusal. In re Lululemon Athletica Canada Inc., 105 USPQ2d 1684 (TTAB 2013) [precedential]. [TTABlogged here]. 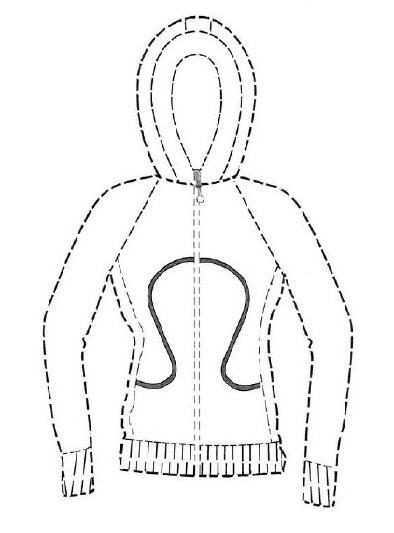 The Board affirmed a refusal to register the mark shown below for “hooded sweatshirts; jackets; coats,” finding it to be merely ornamental and not functioning as a trademark. Because Lululemon’s application was not based on actual use, it could not claim acquired distinctiveness. Its attempt to prove inherent distinctiveness was unsuccessful, as was its assertion that the applied-for design serves as a secondary source indicator. Lululemon argued that the commercial impression of the mark is a distinctive design, and further that competitors use similar “large marks” on their clothing items. The Board observed that the large size of Lululemon’s design does not per se rule out registrability, but it found that the design “is rather simple and looks like piping.” The Board concluded that the design is “likely to be perceived by the public as merely ornamental.” Lululemon claimed that the mark serves as a secondary source indicator because it has registered and used the “same mark” on storefronts and other goods. The Board recognized that ornamentation on clothing (e.g., logos on T-shirts) may be of a “special nature which inherently tells the purchasing public the source of the T-shirt, not the source of manufacture but the secondary source,” but it found that the registered mark and the subject mark were not the same. Alcatraz Media, Inc. v. Chesapeake Marine Tours, Inc. dba Watermark Cruises, 107 USPQ2d 1750 (TTAB 2013) [precedential]. [TTABlogged here]. The Board granted a petition for cancellation of a registration for ANNAPOLIS TOURS for “conducting guided tours of historic districts and other areas of cities,” finding the mark to be merely descriptive and lacking in acquired distinctiveness. The Board dismissed petitioner’s claims of genericness and fraud, but ruled that petitioner had met its ultimate burden to show that the mark is merely descriptive. As to genericness, the record was mixed with generic use and trademark use. The fraud claim failed because, even if respondent’s statements as to continuous and exclusive use were false, its president believed them to be true based on her own observations. As to mere descriptiveness, the Board found that petitioner had demonstrated that the subject mark is “highly descriptive,” and that, because respondent relied only on a statement of five-years of use, petitioner had satisfied its initial burden of making a prima facie showing of lack of acquired distinctiveness. The burden then shifted to respondent to “now prove acquired distinctiveness based on any ‘additional evidence or argument’ ..., keeping in mind that petitioner bears the ultimate burden of proof by a preponderance of the evidence.” The Board found respondent’s evidence insufficient and concluded that petitioner met its evidentiary burden.